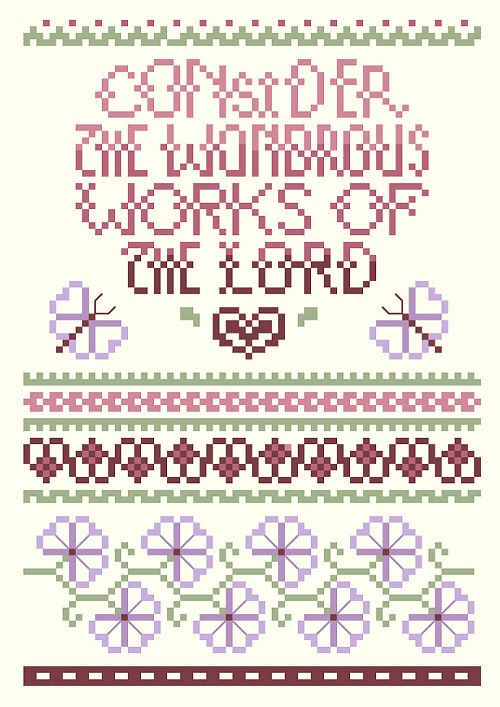 Consider the Wondrous Works is one of our classic scriptures of thanksgiving by designer Linda Gillum. This will stitch up quickly and fit into many decors. 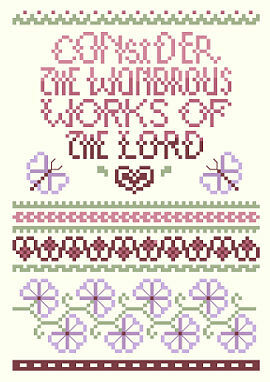 Americana style describes this charming little sampler.